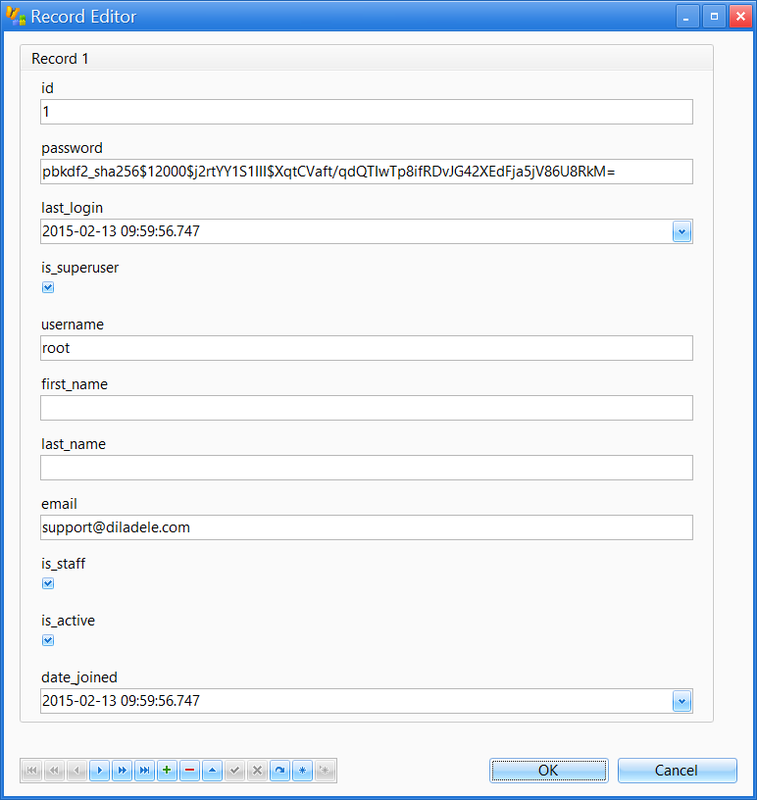 The Web UI uses SQLite database in /opt/websafety/var/db/config.sqlite to store user names and passwords. By default there is only one user root with password Passw0rd. This user is marked as superuser, i.e. it can logon and change any settings in the Web UI. In Web Safety 7.0 and later versions password for the root user can be reset by logging into console and running the following command. Replace MyNewPassw0rd with your desired password of course. Please ensure all other fields look like indicated on the following screenshot. Upload modified database back into /opt/websafety/var/ and restart Apache. The try logging it again.